The modern car advertisement. It’s all slick visuals, obscure symbolism and beautiful people. It hasn’t always been this way of course, and back in the days of no internet and only three television channels a lot of car manufacturers relied on the print media to promote their latest models. No1 – Ford here, illustrating that the 1958 Ford Fairline really was built in a different era. No2 – Headlamp wipers, interior adjustable door mirrors and rear seatbelts? You are spoiling us Lada. No3 – This is actually an advert for the Dolomite Sprint. No4 – Imagine having to try and sell this box on wheels – at least the floor looks nice and shiny. I don’t know about you guys, but we miss the good old days of advertising. 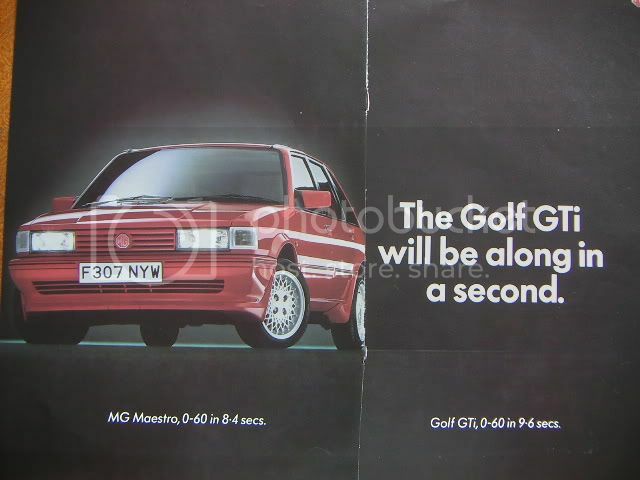 What were your favourite classic car ads? Let us know in the comment section below. John Rooney is a classic car enthusiast who blogs on about the car industry on behalf of The Leden Group – providers of competitively priced car leasing. Check out Leden Ford Fiesta Leasing for a great deal on an old favourite that is still doing the business. a great advert, one of the best!